Thank you for this. I noticed a headline about this in the Asahi (J) but did not know the background, which you have clearly explained. Great post. Glad you recommended watching the video; she finally ends at 6:42:50, and Aso has to jump in immediately. Ha. I was there in Miyazaki a few years ago (my only visit to Kyuushu) and I had no idea what I was looking at. I enjoyed the funny figures in the forest more than the tower though. As for Aso-san, I'm glad he's now trying to avoid landmines in public discourse, as I thought he was keen on laying them himself (even if unintentionally). Thank you for the vid link! How very kind of Ms. Miyazaki to come prepared with info papers on hakko-ichiu for her colleagues. I probably would have reacted like the good MP behind her who appears to have preferred spending his time reading the newspaper. Site note: I'm impressed by the Diet's video archives that allow you to go directly to a speaker in any given video segment. More countries should have such user-friendly archives. She does allow others to speak...but not to answer. She is delivering a soliloquy, stopping only to ask her respondents to read from their bureaucrat-drafted fact sheets or to make a minister confirm what she already knows. It is a performance without any interplay or even a sense of interplay. Perhaps you should your snapshots to the web. The place is likely to become famous now. It is said that Imperial Japan taught the North Koreans under its rule everything they needed to know. However, the presence of trees makes it clear the photo is not from North Korea. Yes, the archiving and accessibility of Diet session videos is superior to what is available from most countries. More folks need to use them in their work. Unbelievable that the author spends the first 2/3 of the article attempting to demean a survivor of cancer and one that exemplified a strong independent woman in a society that it is extremely difficult to do so. Disgusting! You politically are obviously opposed to her viewpoints, and have a revisionist mindset in attempting to contextualize the issue with a number of anachronisms involved, but to attempt this ad hominem attack on a successful self made women is truly misogynistic. And finally, the attempt to say that today we live under what the Hakko Ichiu described is a false, economic justice is far from a reality, and its only getting worse. Predatory Capitalism is rife in Western nations, that espouse a liberal democratic ideal as well as the so called Democratic Socialist states. Real economic justice is far from a reality. Hakka Ichiu is more akin to many economic and civil rights calls for justice in the disparity that prevails under the modern system. 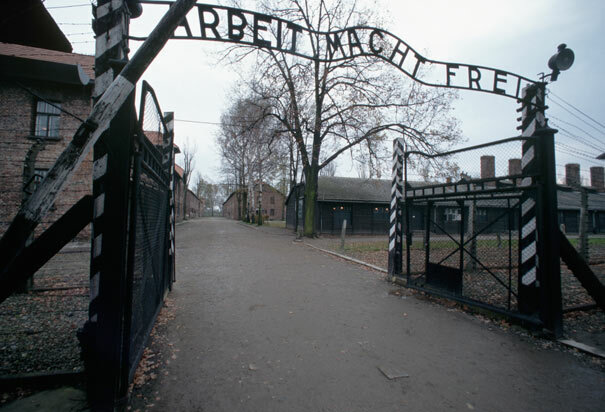 To compare it to Arbeit Macht Frei is both a false analogy and a subtle marker of Anti-Semitism on your part. To compare a genocidal racial regime to one that even in the excerpt you pointed out, calls for a system of social and economic equality is misguided at best, a horrid attempt to equate the Nazis with the Japanese at worst. If anything can be compared it would be perhaps Marxist calls for a revolution of the proletariat, now known to cause violence and an excuse for those in power to usurp it at the expense of the lower class, but nevertheless believed by millions and when formulated believed in the best intention. 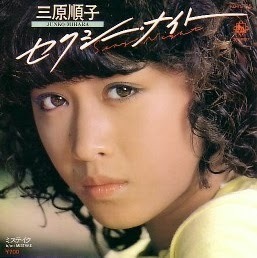 Thank you for pointing out a clear flaw in my post, my dwelling on as the past of Mihara Junko. 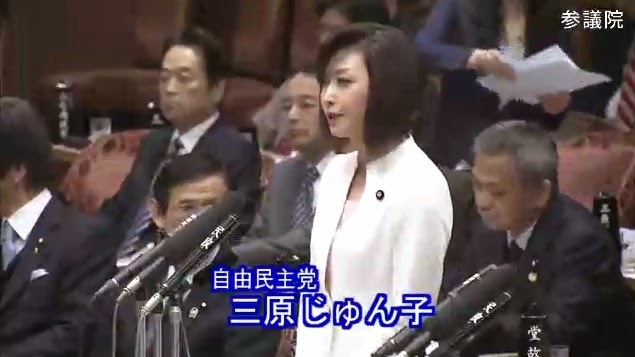 One of the primary goals of Shisaku posts is clarify that politicians are human beings with complex pasts affecting both their political beliefs and the public and media perceptions of their actions. In the case of Mihara Junko the cardboard cutout view that one can glean from English language sources is "heroic cancer survivor with hard line views on history and security." Japanese voters know in addition that she has risen in the world by being both the object and the manipulator of male fantasy. This was a first throw of the dice. It did not come up double-sixes. Your defense of fascism and imperialism as overenthusiastic, non-Marxist means of pursuing economic justice is is beyond appalling. As for the contention that my use of "Arbeit Macht Frei"' is a marker for subtle Anti-Semitism on my part, that is just insane.